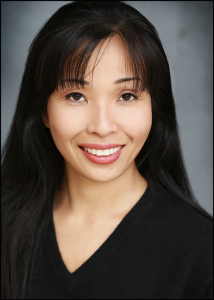 SYDNEY, Australia – The Short+Sweet International theatre festival announces that Los Angeles-based theatre director/producer Kaz Matamura has been named director of the Hollywood Short+Sweet theatre festival, which opens on Thursday, Sept. 8, at the Stella Adler Theater in Hollywood. Matamura brings decades of performance and arts administration experience to the festival, which will present 60 10-minute plays over three weekends. Awards will be presented to winning productions and performers at a special gala and performance on Sunday, Sept. 25. Short+Sweet debuted in Sydney in 2002 and has since presented festivals in Singapore, Malaysia, the Philippines, India, Dubai and New Zealand. The Hollywood festival that Matamura directs marks the North American debut of Short+Sweet. In addition to being one of L.A.’s most prolific theatre producers, Matamura has directed short play competitions for more than 20 years. As founder of the non-profit Fire Rose Productions, she produced over 50 full-length plays and festivals, established student exchange programs and formed children’s reader’s theatre groups and arts classes at local libraries. Matamura also founded three theatre companies: New Rose Ensemble, Mini Rose Ensemble and Arigato Kai, a Japanese-language performing troupe. Along with directing and producing theatre, she teaches acting technique classes internationally, in Los Angeles, Las Vegas and Tokyo. She is the recipient of the Women in Theatre Red Carpet Award, Artistic Directors Award, Fred Vogel/CTI/Drama Biz Award, Woodstock Guild Fellowship and the California Traditional Music and Dance Fellowship. For more information about the theatre festival, visit https://www.shortandsweet.org/. For tickets and information, “like” the Hollywood Short+Sweet page on Facebook or follow it on Twitter at @shortnsweetla.